Synopsis: In the near future, Major is the first of her kind: A human saved form a terrible crash, who is cyber-enhanced to be a perfect soldier devoted to stopping the world’s most dangerous criminals. Based, maybe to many loosely based, off the comic by Masamune Shirow and the hit anime in the early 90s, Ghost in the Shell has been under the radar for some time now. Whether it be the fact that most people think it shouldn’t have been remade or – the big one – the white washing controversy, the film has certainly been in the public eye so it indeed to impress a lot of people to justify it being made. 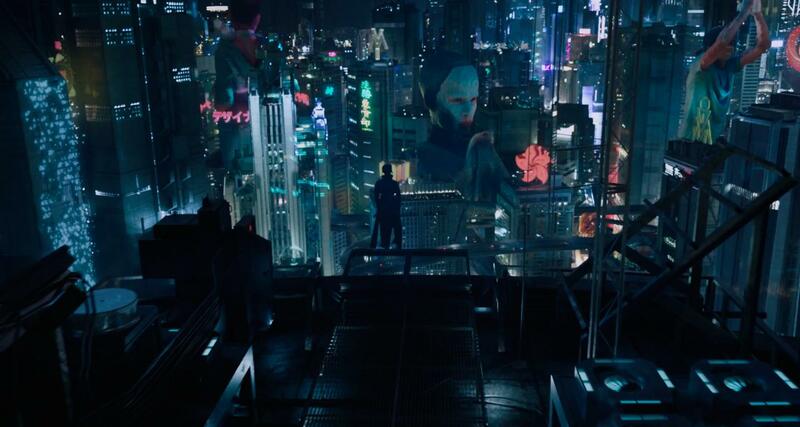 Unfortunately, Ghost in the Shell impresses at the right moments, but then it becomes a bit bland and shallow. 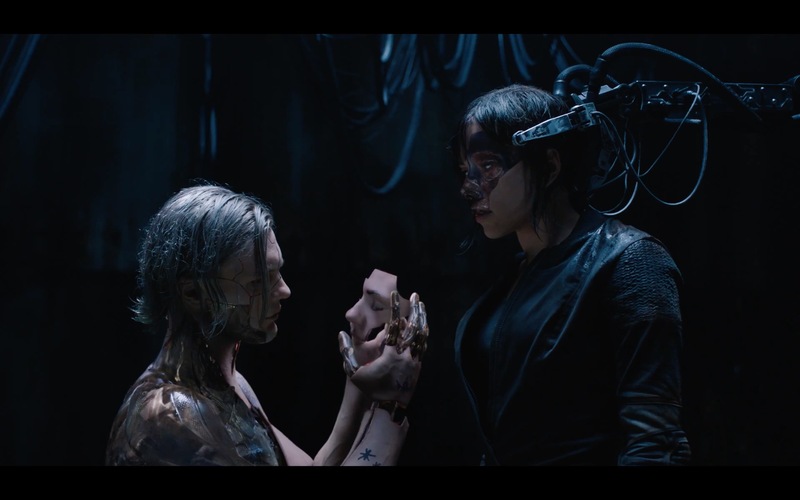 Set in future Tokyo where people are now okay with doing cybernetic implants, we follows Mira Killian (Scarlett Johansson), who after an accident which only leaves her brain intact, a company called Hanka places her brain in a state-of-the-art robot body that will allow her to pass as human. We skip forward a year, and she now works for a government division called Section 9, a tactical response unit tasked with hunting down terrorist, and is now known as The Major. The team soon realizes that they have a serious threat in Kuze (Michael Pitt), a terrorist who is hacking into and killing members of the Hanka robotics company. However, as the investigation goes on The Major starts to remember things from her past that throws the investigation in a different direction. I’m going to throw this out there now, I haven’t seen the original anime – yet – I’ve wanted to for some time now, and wanted to before watching this, but time caught up with me and I couldn’t. So everything in this review is going to be based off this film, and solely this film. So please forgive me if I think something works or doesn’t work, but is essential to the anime or original source material. Let’s start off with the cast, since that’s the biggest thing everyone was talking about before watching the actual movie. Scarlett Johansson does fine playing the conflicted character trying to figure out her place in the world, but also bound by duty to take down Kuze. Pilou Asbaek plays Major’s friend and partner Batou, who, honestly, doesn’t get enough screen time, Peter Ferdinando is a Hanka company man named Cutter who’s has a history with the program Major was a part of. “Beat” Takeshi Kitano plays Aramaki, Major and Batou’s boss who only speaks in Japanese, who also could have used more screen time considering the role he plays later on in the film. Juliette Binoche plays Dr. Ouelet, the lead scientist that makes Major who she is, and while Binoche puts her best effort into the role, her character – to me – doesn’t rise up to the stakes her character should have been. Speaking of that, Michael Pitt’s Kuze is pretty disappointing. Not only is he not in the film enough, he only has one real good scene with Johansson which reveal the beginning of the secrets for Major. It’s nothing against Pitt either, he’s just not in the film long enough to really give Kuze that level of importance the film tries to five him at the beginning of the film. The rest of the cast, well, they’re just there unfortunately. Ghost in the Shell also tries to ask the important deep question like what makes you human and can Major be an actual individual? But the film spends little time actually digging into to those questions, and instead takes the sci-fi crime thriller action route. Which would be fine if this wasn’t a remake of Ghost in the Shell – from what I heard anyway – and this was an original film, but it isn’t and it hurts the film in the long run. What also hurts the film is the white washing controversy does come to the forefront in multiple ways. One is like I mentioned earlier, Kitano’s Aramaki only speaks in Japanese – and everyone else speaks to him in English. That wouldn’t be much of a problem if it wasn’t for the fact that he’s one of the only real Asian in the film who has a major role – Yutaka Izumihara plays a character named Saito, who I’m not even kidding, I think only has two scenes and Chin Han, who plays a character named Han, who is a member of Section 9, but doesn’t really do anything to stand out. However, the biggest way the issue lingers is near the end when you figure out what happened in Major’s past. You can make the argument that it makes sense to do that, but at the same time it is kind of stupid and disrespectful to the point that it took me out of the film completely. It’s not the best way to go, especially in a film that people were already up in arms about. 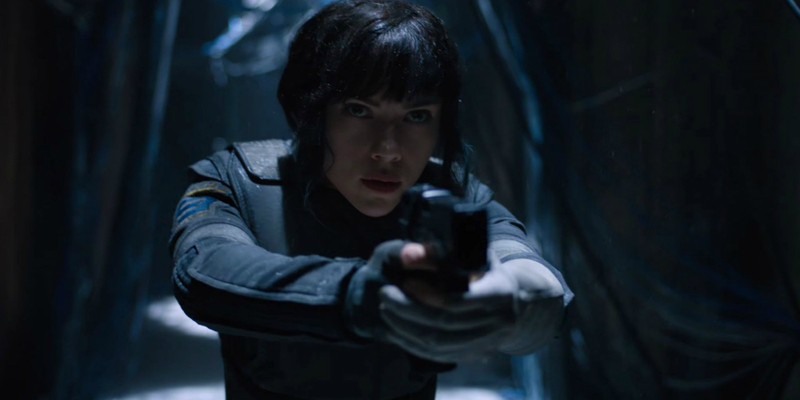 All in all, Ghost in the Shell isn’t a groundbreaking film like its predecessors. 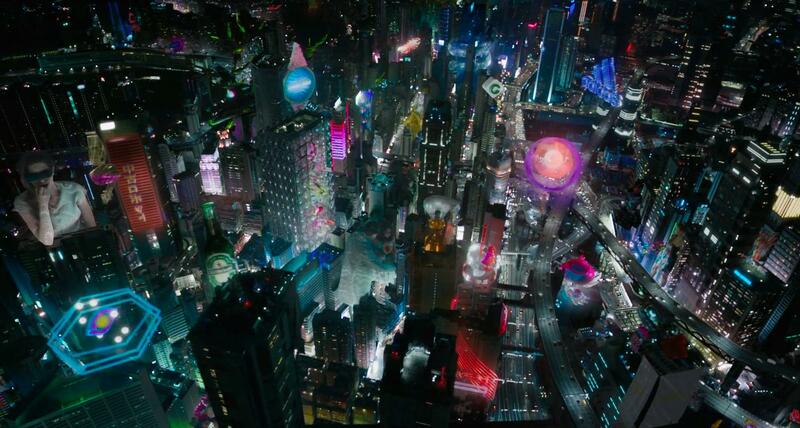 The one redeeming thing about the film, if you want to look at it that way, is the visual effects. It really gives you a sense of how different the world is, and it should be too much of a shock considering it is directed by Rupert Sanders, who got his start doing visual effects. 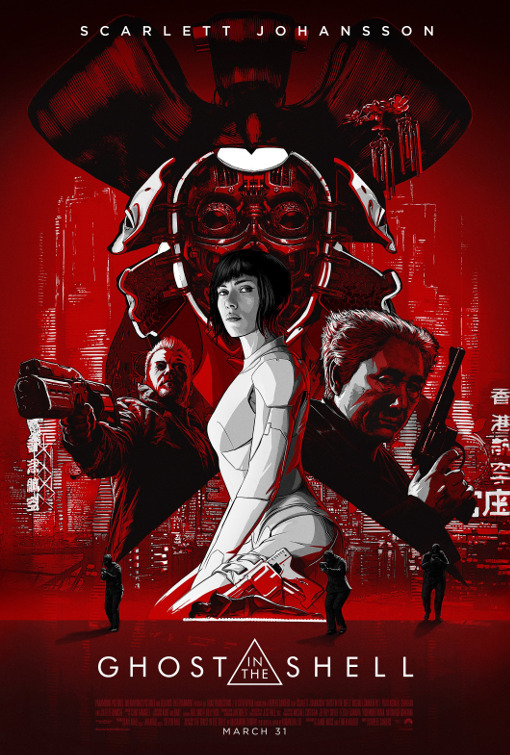 However, like his previous film in Snow White and the Huntsman, Ghost in the Shell is all show with very little substance.